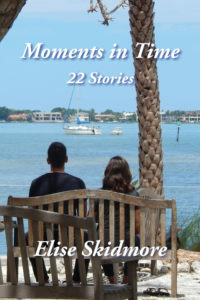 A little Romance, a little humor, a twist of Twilight Zone and a splash of vampires, Elise Skidmore’s stories deliver rich tales of a wide range of memorable characters, served up in bite sized pieces. Don’t have time to read a novel? 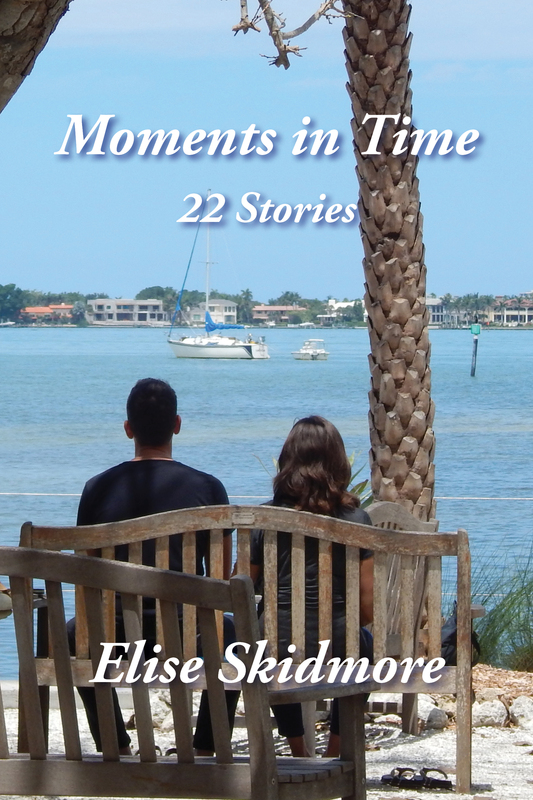 Snack on these delightfully unpredictable tales! Johnny Toad woke up with his head pounding and his mouth tasting like chalk. The realization hit him that he was lying spread-eagle on his stomach, clinging to something smooth and shiny about three feet above the ground. As he lifted his head to see where he was, Johnny found himself lying on top of a juice vending machine that had toppled over onto its side. And he was stark naked. Worse than that, he could feel his privates resting snugly in the slot that dispensed the juice. His aching head slammed back down on the machine. What the hell had happened? My name is Edmund Howard, both names derived from the old English; Edmund meaning “happy defender” and Howard, “chief guardian,” both of which are invested with an irony that will become clear later on. I became what I am on a battlefield in the south of England long centuries ago. The exact date is unimportant; let it suffice to say Henry VIII had not yet begun collecting wives and be done with it. The details can be filled in with human imaginations; one tale of conversion is much like another. Dorothy Jane was a morning person, that was why she chose to work the breakfast shift at Mel’s Coffee Shop. It certainly wasn’t for the tips, which were notoriously slim, or the prospect of meeting other smiling faces. In her experience, people like herself, who enjoyed greeting each new day, were definitely in the minority. No, Dorothy Jane just enjoyed the simple pleasures in life, like watching the sun come up golden on the horizon, the jingle of the wind chimes when a customer entered, or the smell of warm cinnamon buns sending subliminal messages to “taste me”. She tugged at the front of her uniform where the buttons strained against her bosom. Dorothy Jane was very susceptible to suggestion, especially when it came from a warm cinnamon bun.